Dedicated to offering quality educational, entertaining and enriching trips while supporting the economy in the Southeast. As way of an introduction or a reminder if you are a current client, I am a history major from UNC Chapel Hill who took my love of history, culture and travel and turned it into a lifelong tourism career and then Trips by Patty in my retirement. The trips I develop are sometimes my own idea but many times they are your ideas, so please keep them coming! I sincerely appreciate it. Mostly, they consist of day trips and short overnight trips around the Carolinas, Virginia and Georgia but I will entertain other destinations if you wish. We visit small town American as well as many of the larger Southern cities. Trips are planned for the general public with departure points located in convenient locations throughout the region. Additionally, private charter trips can be developed for communities, clubs, etc. Scroll down and sign up for the Newsletter which is distributed when a new trip is announced. I hope to have the pleasure of traveling with you soon! 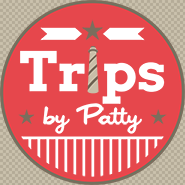 Use the Contact Form to get in touch or contact me at tripsbypatty@gmail.com or 910-686-7941. Let's get connected........... Follow me on Facebook or Instagram! Receive updated destination news and trip announcements by subscribing to TRIP UPDATES NEWSLETTER.